Alex Iwobi scored a second-half winner as Nigeria became the first African nation to qualify for the 2018 World Cup with a 1-0 victory over Zambia in Uyo on Saturday. 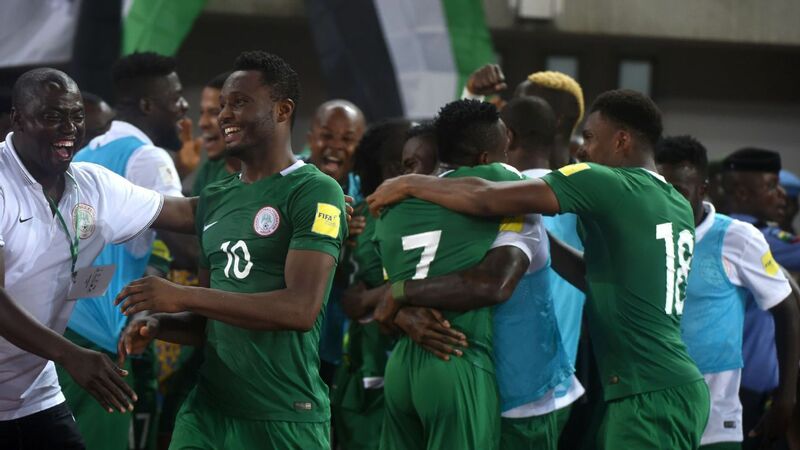 The win moved Nigeria to 13 points and an unassailable lead at the top of Group B with one round of qualification matches to be played next month. The Arsenal striker netted with a neat finish inside the box on 73 minutes of an open contest in which Wilfred Ndidi and Simon Moses had earlier missed good chances to ease the nerves of the home side. Nigeria have now qualified for six of the last seven World Cup finals, missing out only in 2006. They reached the second round in Brazil in 2014, before losing 2-0 to France in Brasilia. Posted by Above Whispers on October 8, 2017.